Why October is a great month for home buying? We traditionally see a flurry of home buying activity in October. School is in session, the weather in St. Louis is picture perfect and prices are often at their lowest. Home buyers find good values in the Fall market. A quick search through MLS shows a rich profusion of price reductions as summer ends and daylight shortens. These price declines convey a seller’s motivation to put their home under contract and close before winter sets in. Great values can be found in long dated listings which are just now reduced to compelling prices. Also at this time of year, new listings are likely to be competitively priced. Sellers, who don’t relished the prospect of open houses or showings throughout the holidays, feel urgency to attract a buyer in less time than their Spring counterpart. Moreover, sellers recognize they are in direct competition with existing inventory with newly reduced prices. If you are a Seller with your home currently for sale or you are considering listing your home now, here are a few tips. 1. Refresh your outdoor pots with Fall flowers and foliage. Trim back summer growth on shrubs and perennials if shaggy. 2. Make sure you have photos of your swimming pool before it is closed and the furniture stored. Since your buyer will not be able to inspect the pool entirely during winter, ask your pool company to give you a letter stating that it was in good working condition at the time of closing. 3. Do you same for your HVAC. Buyers cannot test the air conditioner when the temperature is below 62 degrees. Having a letter from your professional will provide a level of comfort for a prospective buyer. 4. Let the intense Fall sunlight shine through clean windows. Pollen can cloud the beautiful clear light you want to take advantage of this time of year. 5. Make sure your house is set at a comfortable temperature for showings. This can be challenging when temperatures fluctuate every day. 6. Finally, this is not the time to “test the market” with an over inflated price. Often, in the minds of home buyers, spring and summer are considered to be the best time to buy a home but, in reality, this isn’t necessarily true. In fact, (surprise!) 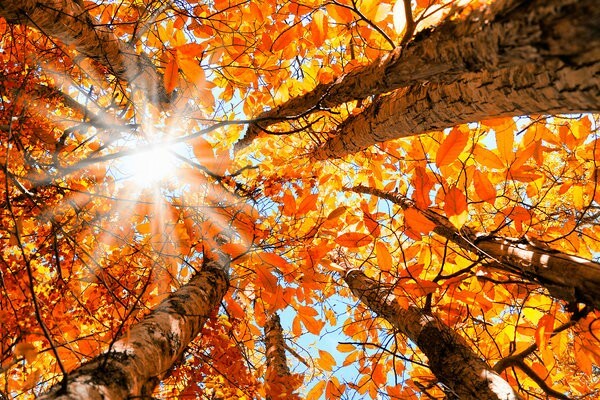 fall might actually be the best season to buy your new home. Whether you’re not sure if you’re ready to buy a home, or if you’re thinking of buying in the near future, below are a few reasons why buying your home in the fall would be most beneficial. One of the key things prospective home buyers need to consider is when it’s the right time to buy a home. Not only do home prices vary over time, but they also vary over the course of the year. While summer is the most popular time to move or put your home on the market, supply and demand is a big factor in why home prices fluctuate. So, if you’re looking to buy a home in 2018, you’d be wise to consider the timing of your purchase. The best month to steal a deal when buying a home? October. Though many people think of spring and summer as the hot spots for real estate, it’s for that exact reason that makes October the better month for buying. Spring and summer are overloaded with prospective buyers creating a frenzied market, and, just like the beaches in the fall, the water has cleared making less competition for buyers. While we’ve explained that fall is the best time to buy a home, it’s more than just pouncing when the market is tired—there’s actual data to be considered, as well. According to 2017 data from Trulia, starter home inventory in the U.S. as a whole gets a 7 percent boost between October and December each year. As a result, we see listing prices that are about 4.8 percent and 3.1 percent lower in the winter and spring than in the summer, respectively. Together, all of these can be considered as leverage when buying a home. Most importantly, if you want to find a great home for a reasonable price, look for times when the market is soft, or when there are fewer prospects. 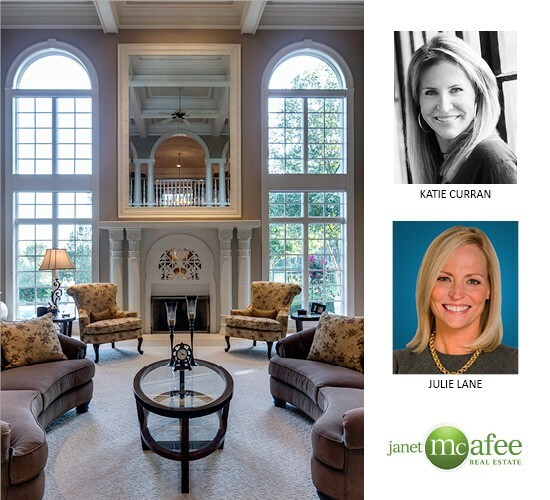 If you’re thinking of buying a home in the coming months, or still unsure and have more questions, our talented team of agents at Janet McAfee are always here and ready to help you navigate the process from start to finish. If you’re looking for a real estate firm you can trust, contact us today! The high end home buyer today is savvier when it comes to luxury brands, more discriminating when it comes to amenities and has more choices than ever before. More than ever, the affluent consumer has access to an abundance of goods and services in all aspects of their lives. Choosing a home is no exception. Luxury Portfolio International, a leading opinion leader of all things luxury, has taken a deep dive into the mindset of the millionaire homebuyer. Today’s luxury buyer wants pristine, new condition. Only 5% are looking to renovate completely; 15% will consider buying an older home completely renovated. 55% want privacy and energy efficiency/environmental design. Luxury buyers want a master bedroom with a luxurious bathroom (54%), walk in closets (51%), outdoor living/entertaining (49%) and an open floor plan (49%). Janet McAfee is the exclusive St. Louis member of Luxury Portfolio International. Just released, a 2018 Harris Insights & Analytics study reported that 90% of all buyers and sellers used a real estate agent in their transaction. This is up from 85% in a similar study conducted four years ago. Negotiating the best price was mentioned by 89% of buyers and sellers as being extremely or very important. I’m not surprised by these findings. A real estate transaction is complex and stressful. Why wouldn’t you rely on a professional with a proven track record from a reputable brokerage to help you navigate the most important purchase of your life? For a family looking to settle down, a good school district is essential. The St. Louis County area offers a lot of great school districts, all with their own unique features. We’ve broken down the pros and cons of each district to make your move location easy! Clayton, MO is the affluent, bustling business hub of St. Louis County and borders the city of St. Louis. In 2018, the district was ranked the fourth best school district in the United States and the best school district in Missouri by Niche. Several primary schools and high schools in the Clayton district have been ranked as top schools in Missouri. The School District of Clayton is one of the highest-achieving districts in the State of Missouri. Each of the district’s schools are regularly featured in Missouri's list of Top Ten Highest Performing Schools. On average, the student to teacher ratio is 11:1. According to the 2010 census, the population of Clayton is 15,939 people. Several local universities are at least partially located in Clayton, bringing energy to the city. Being the county seat, St Louis County is the largest employer in Clayton. An active public transportation system connects the city. Clayton’s downtown features art galleries and boutiques, and it is host to the annual St Louis County Fair. For a family looking to settle down in a friendly, small town with an art scene and great public and private schools, Clayton is a great option. Ladue, MO is a suburb of St. Louis with a population of around 8,000. Ladue has the highest median household income of any town in Missouri, making it a relatively wealthy suburb. The school district includes four public elementary schools and one public high school, as well as two private high schools. The student to teacher ratio is 14:1, and teachers are generally reported to care for and give special attention to students. Teacher salaries are above the national average, showing that just as teachers care for students, the district cares for its teachers. Lindbergh School District serves the area of Sunset Hills, an idyllic suburban municipality. Schools in the Lindbergh District have excellent test scores, with math and reading rankings above 80 percent proficiency. Lindbergh High School, the only high school in the district, has a 96 percent graduation rate compared to the 86 percent national average. In fact, Lindbergh School District was recognized as the Number 1 district for K-12 achievement in the State of Missouri from 2010 through 2014. Lindbergh School District is known for having very good public schools, particularly elementary and preschools, which make up the majority of the district. This makes it particularly great for families with young children. Kirkwood, MO is home to some of the strongest schools in the state and also serves the area of Sunset Hills, Missouri. The Kirkwood School District has the top-rated teachers in Missouri. Kirkwood’s student to teacher ratio is 15:1, and the district expends more money per student than the national average, most of which goes toward instruction. In fact, Kirkwood boasts some of the most collegiate schools in the St. Louis area. Not only was Kirkwood High School ranked the third best high school in the state by U.S News and World Report in 2013, but Sunset Hills is also home to elite private schooling. Thomas Jefferson School is a nationally ranked college preparatory school, attracting the St. Louis community’s best and brightest young minds. With students’ average SAT scores over 2000, Thomas Jefferson School occupies a place among the educational elite. The top-rated private school in the St. Louis area is John Burroughs School (mentioned above) located in Ladue. John Burroughs School is ranked as the number one high school in Missouri, as well as the top college prep school in Missouri. The school has a 6:1 student to teacher ratio, and the graduation rate is 100 percent. Families looking for strong private schools should also consider: St. Louis Priory School, ranked as the number one Catholic high school in Missouri and the number one all-boys school in Missouri; Thomas Jefferson School, ranked the #1 boarding school in Missouri and home to excellent test scores; or the Whitfield School, a tight-knit community of 440 students with excellent test scores and strong parent and student reviews. Families looking for excellent public schools should visit Clayton High School, the top-rated public school in Missouri. It is ranked as having the best public school teachers in Missouri, with a 12:1 student to teacher ratio. Clayton High has great test scores, ranking far above average in proficiency in math and reading. Ninety-two percent of Clayton High students report that they feel happy at their school and enjoy attending. Other public schools to consider are Kirkwood Senior High School, which has excellent test scores and a beautiful campus with above-average athletic and academic facilities, and Marquette Senior High School, which is home to great test scores and above-average student proficiency in math and reading. Ready to find a home in one of these areas? Contact Janet McAfee Real Estate to get started! With the start of a new season, fall brings the opportunity to reinvent your home! There are plenty of fall renovation projects that will make your home feel fresh and get you ready for winter. Not sure where to start? No problem! We picked out a few seasonal projects that will leave your home feeling renewed before winter arrives. An easy way to prepare your house for winter is by putting caulk around the edges of your windows. Small gaps between windows and window panes allow heat to escape and let the cold in, lowering your home’s energy efficiency and raising your heating costs. Caulk is very low in cost, and it’s a simple project that you can knock out in a weekend. Whether you’re looking for some serious repairs or just standard maintenance, fall is the best time to work on your pool. Summer is the busiest season for pool repairs, and costs are often at their highest, so waiting until fall to get repairs done ensures that you’ll face a lower price. Plus, companies will have more time in the off-season, which means your repairs will likely get done quickly. As temperatures cool down, it’s time to start getting your garden ready for winter. You’ll want to cover your flower beds to protect them from snow and cold. One of the easiest ways to do this is with dried, fallen leaves. Collect the leaves that fall in autumn and place them in a layer over your garden, which will insulate your plants for the cold months ahead. A fresh coat of paint does wonders! Remember to add sealant over the paint to protect against snow and ice damage. While you’re at it, apply sealant to outdoor stairs, doors, and wood on porches, too. If your roof has any small holes or leaks, winter will only make them worse. Heat will escape and snow will get in. Fall is a perfect time to have a roofing crew come in, take care of any small repairs, and make sure you’re ready to handle snow and ice. Summer can get carpets pretty dirty. Between mud, sand, and other pieces of the outdoors tracked in, your floors are begging for a cleaning. Fall is a great time to clean carpets because dirt from summer sports and activities won’t be coming in. It’s also generally still warm enough so that you can open the windows for ventilation while carpet soaps do their work. That means a fall day outside for you and a full cleaning for your carpets! Save money this winter with a programmable thermostat. You can set your heat to go down while you’re at work or asleep, which conserves both energy and money. Then your heat can come right back up when you get home, keeping you nice and comfortable! Fall is a great time to do home renovations, and it’s the perfect bridge between summer and winter to refresh your house and get it ready for the cold. What home renovations are you looking forward to this fall? Is “Maximalism” really the Luxury Home Trend for 2018? Those who follow luxury design trends have predicted that 2018 is the year of “maximalism.” Neutral and monochromatic color palettes will transition to bold, saturated colors. After all, the 2018 Pantone Color of the Year is Ultra Violet, a vivid shade of purple. Trend watchers are seeing a resurgence of wallpaper, mixed metal plumbing fixtures and layering of brightly colored and patterned rugs. From my perspective, I cannot confirm our St. Louis luxury real estate market has fully embraced the maximalism design trend. I have seen elements of this new style in our finest properties. Wallpaper is making a resurgence, but this is not your mother’s wallpaper. The new papers are ultra-chic prints made with modern digital printing technology and textured fabric papers like silk and grass cloth. We see luscious accent walls covered with hand painted Chinoiserie. Brass and gold tone fixtures are making a comeback. Last year, we outfitted our bathrooms with minimalist chrome fixtures. Newer designs include more ornate hardware made of brushed and shiny gold fixtures or they are black matt plumbing finishes. Are richer bolder colors replacing neutrals? Design trend setters claim that beiges and taupes have become boring. Bold saturated hues are being introduced, particularly in accent roles. If there’s one thing I’ve learned all these years as a luxury Realtor, is “Luxury” means something unique to each of us. Luxury is personal. • Luxury = Lifestyle. Luxury buyers are inspired by amenities which enhance the home experience. Lifestyle seekers are excited by outdoor kitchens, breathtaking pools and spas, wine tasting rooms, whole house media systems and over the top master closets. • Luxury = Smart. Technology has introduced a whole new landscape of luxury features for savvy home buyers. Temperature controlled wine cellars, variable speed air conditioners and window glass which goes from clear to opaque are features which motivate this buyer. Does our future include A.I. devices in every room? • Luxury = Aesthetic. Buyers are seeking exceptional design and exclusivity. Architectural provenance is important for the buyer looking for historic significance. Haute home interiors include hand crafted draperies and authentic wall murals, which cannot be replicated.